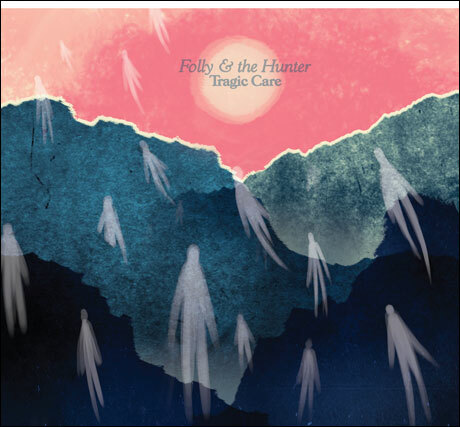 Folly & the Hunter recently became the latest addition to Outside Music's roster, and now the Montreal folk-leaning trio are ready to drop their first album for their new label with Tragic Care. Before this sophomore album's April 16 release date, you can stream the whole thing on Exclaim.ca. These 10 tracks were laid down at Montreal's Breakglass Studios with Jace Lasek (of the Besnard Lakes) and Dave Smith. The album mixes folk influences with atmospheric elements, meaning that its sound is by no means confined to one genre. "Watch for Deer at Dawn" begins the collection with subtly climatic, piano-tinkling drama, while the echoing acoustics of "Moth in the Porch Light" resemble a folk song recorded in outer space, and the second half of "Mask" is filled with churning background noise. Outside boss Evan Newman said in a statement, "Jace from the Besnard Lakes referred them to Outside Music and upon first listen, I knew this was a special record and immediately flew to Montreal to meet them. It's rare that a band like this comes along and we're over the moon to have them on the label." Take a listen to the expansive Tragic Care below. As previously reported, Folly & the Hunter will be heading out on a Canadian tour with Aidan Knight. See the tour dates here.